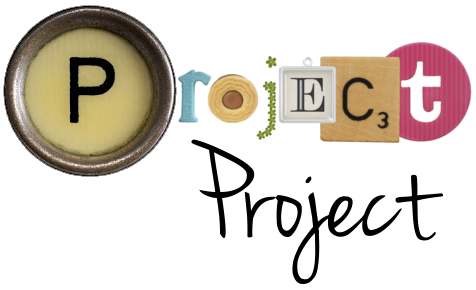 Project Project: House tour: Play room update! Today I'm wrapping up a week that didn't go at all as I had planned. I just find myself in a different place than where I expected to be. A place where the groceries for the coming week haven't been bought yet, and there are crumbs and spills all over my kitchen floor (so not too different there), but we've been able to spend time together both as a family and with good friends, to help some people out when they needed it and to do some good things for our little home. So not a bad week by any stretch of the imagination, just different. Ever have those? I was looking at my other house tour posts, trying to decide where to take you next, when I noticed that our play room has actually changed quite a lot since the last time I showed it to you, so I decided to do a quick update! The biggest change is that we got a much bigger rug. Unsurprisingly, we found that hardwood floors and playtime were not the best combination. There's lots of crashing around that goes on in a playroom, and it was starting to take its toll on the floor. Then Gwen started getting mobile and was doing a lot of face plants on the slippery wood. And when winter rolled around, Espen stopped wanting to play in the play room because the floors felt cold. So we got this big rug that covers most of the floor and is a nice, soft and durable place to play. It's not the most kid-themed rug in the world, but I wanted something we could continue to use down the road when this room graduates from being a playroom into whatever it's next life will be. Another recent addition is the play table and chairs that Espen got from his granny for his birthday. We'd been looking for one for a while, and finally one that was the right size, that we liked style-wise and that didn't cost the earth at Toys R Us, of all places. Espen loves it for building legos on and serving up his play kitchen cuisine, and Gwen loves having chairs that she can get in and out of herself. She also loves how easily she can climb up onto the table, but let's not dwell on that (that kid, I tell you what!). Because they're light and easy to move around, we've also used the table and chairs as additional kid seating when we have friends over for dinner. Other than that, we've mostly just reshuffled what we have and moved it into a more workable (playable?) configuration. We've ended up with a few sort of "stations" where they play: the tent, the kitchen, the table and the storage bins/playtable (with the green table top) Then there's also a biggish open space on the floor where they play with other toys. The view from the door, looking into the playroom. I love how the big windows make it such a bright and cheerful room. Seeing as Gwen no longer needs to be fed in the middle of the night, we moved down the armchair from her room to the playroom so there's somewhere for big people to sit. Oftentimes the kids won't want me to necessarily be part of their game, but still want me to be nearby so it's nice to have a chair where I can read a book, use the laptop, or more likely, play Threes on my phone while they play. I'd ideally like a slightly bigger and squishier chair that you can really curl up in with a kid or two on your lap in there, but this one will certainly do the job for now. But maybe this one down the road? As you can see, our art wall is always growing as Espen brings home his various projects from Joy school. He really enjoys pulling out the crayons and art supplies at home and is often asking me to "make a craft with me, mom! ", so we're always adding more as we go. Gwen is starting to take an interest in the crayons too, so she has a couple of her pictures up there too. I edit the collection and take down pictures as they lose their significance along the way so we don't end up with too much of the same thing. I like how constantly adding, subtracting and changing adds a lot of life and variety to it, and that our guests always admire our wall of kid art. It's nice to have something so big and bright and fun! Neat and tidy for once. Full disclosure: these photos were taken after a major play room clean up, and it does not always very rarely looks like this. In fact, we often have to shove toys out of the way just to shut the door on all the mess! However, we have been trying to teach the kids to take responsibility for their things since the clean up, and Espen especially seems to really enjoy playing in a clean room where he knows where to find the toys he wants, even if he doesn't always enjoy the new regime of nightly clean ups. As always, I never feel like any room in our house is quite complete, and have a few plans and ambitions to keep things in order by adding photo tags and labels so the kids will know where to find their things without tearing the room apart to find them, and also where to return their toys to when they're done. I'll let you know how that goes! So, tell me: do you have playroom? If so, I'd love to know how it works for you. Do the toys stay inside the room, or do they migrate all over the house? 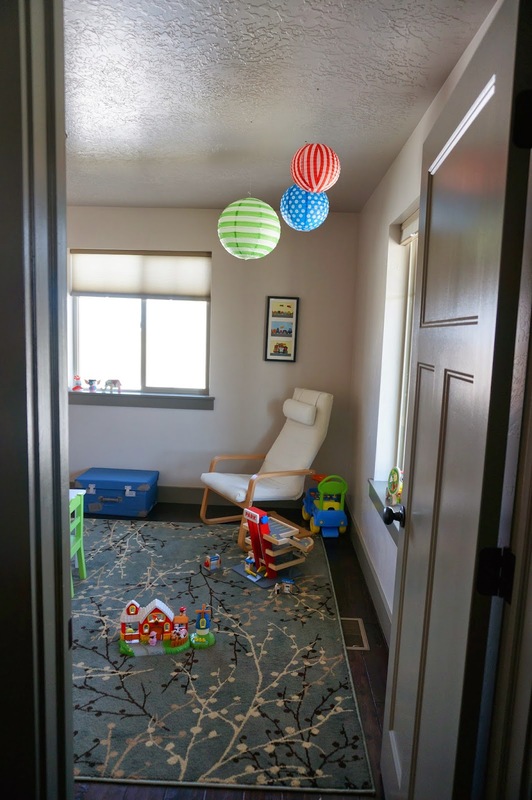 Do you even want a playroom, or do you consider them a ridiculous waste of space? Did you have one growing up, or are play rooms mostly an invention of our stuff-centric society? What do you think? We didn't have a play room, but we played a lot in the family room right next to the kitchen. I think when I was a baby my mom made a rule that all the Lego had to stay upstairs in my brother's room (since I was eating them). So we played a fair bit in our rooms, too. We all loved playing on the computer, so we spent time in the computer room too (even just watching each other play). Oh - and we almost bought that exact IKEA chair... SUCH a cute chair.